Hi, I’m Kyle Smith. You may remember me from Massive articles like that time I wrote about watching the Fifty Shades trilogy with my parents, or that other time I wrote about watching the Zac Efron classic We Are Your Friends once a week for a year. So, obviously, after that the natural evolution is writing about politics – it makes perfect sense! Now that I have explained my lack of experience and current (hopefully not for long) lack of knowledge, here is my official political round-up of all the exciting things that happened while we were on break because unfortunately, politics never sleeps. 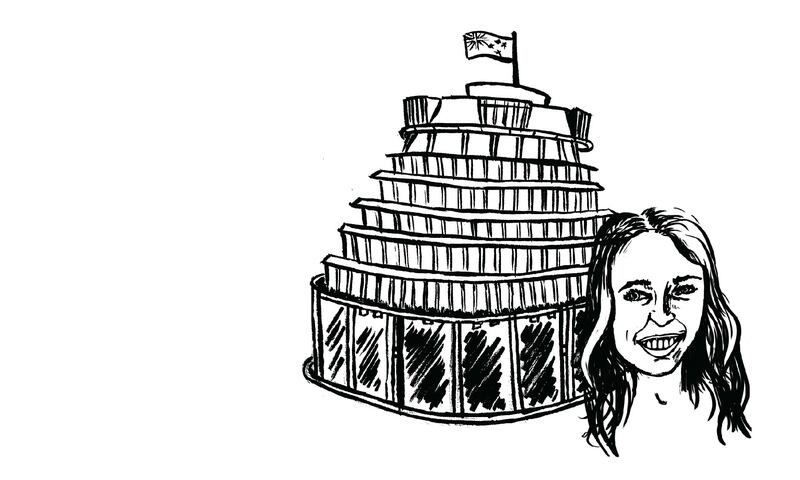 Jacinda Ardern decided to have a bit of Christmas fun when she ‘subtly’ insulted Simon Bridges by calling him ‘Simple Simon’, which is apparently against the rules as you cannot call members of parliament by their first name during Question Time. Don’t worry though, Speaker of the House Trevor Mallard made her apologise immediately because he does not allow name calling in his chamber, which is nice coming from the guy who punched an opposing politician within parliament in 2007. This was truly a nice moment to end the year on; bringing the whole country together no matter what party you support to have a good laugh at Simon Bridges. I’m going to make this a new Christmas tradition, whether the National supporting members of my family like it or not! Doing the sort of heavy research I have done it seems like he likely won’t be around for that much longer, so it’ll be a short lived and non-topical tradition; but it’ll be a tradition all the same. I mean, how can you come back from being made fun of by Jacinda? There’s no chance, have your resignation letter on your desk by Friday. The New Zealand drug debate also rages on with the focus unsurprisingly being on the devil’s lettuce, or as the kids call it, ‘marijuana’. A bill was somewhat low-key passed in December which allows terminally ill New Zealanders to use it medicinally, which is a step forward in the opinion of some and a step backwards in the opinion of others. But, the government also announced that in the 2020 election there will be a referendum on the legalisation of weed for personal/recreational use, which again is a divisive move. National Party’s Paula Bennett admitted to trying it in the 80’s when she was a Taupō party animal, but she claimed it “put [her] to sleep,” which I can confirm is a credible reaction to have (just kidding Mum – I have no idea). Simon Bridges, on the other hand, still claims he has never smoked it before and instead drunk Export Gold at his university pub when he was a hip, cool dude. Because nothing says hip and cool to the youth of day like choosing to drink Export Gold over smoking weed or choosing to drink Export Gold period. I don’t trust anyone who drinks Export Gold when they could just as easily consume any other beer, so Simon, if you want to be Prime Minister you’ve got a lot of proving yourself to do (a photo of you drinking a Tui will be fine). And that was pretty much it really – it was a quiet couple of months! No world wars, no major life-changing developments; just Jacinda doing something pretty funny and the usual drug debate. Your homework for the next two weeks is to down a couple of Export Golds to remind you never to drink them ever again. This column is about learning after all.